Choice ink signature, "U. S. Grant,” on an off-white 3"x1.5" slip. 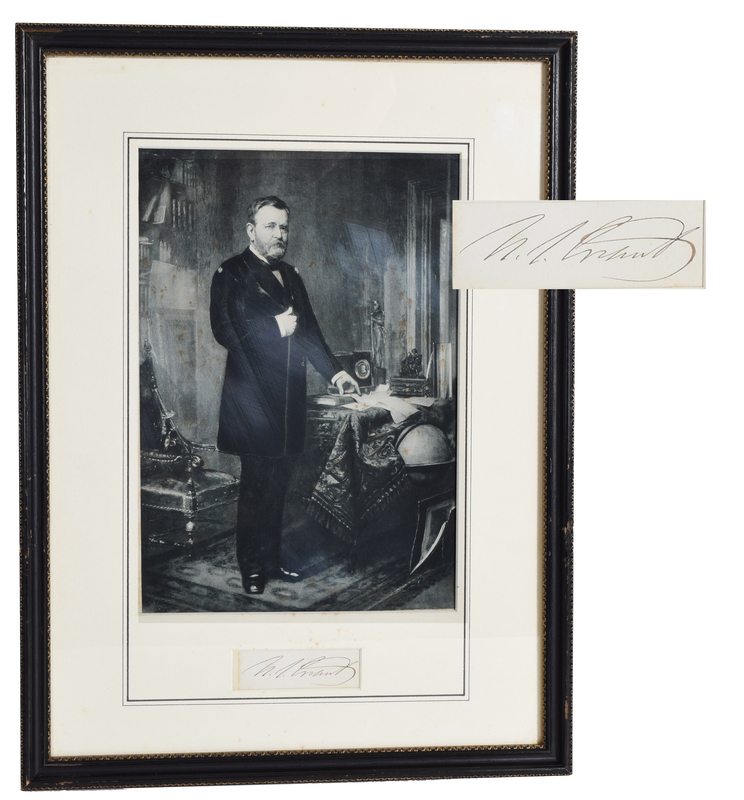 Matted and framed with a large portrait of General Grant. 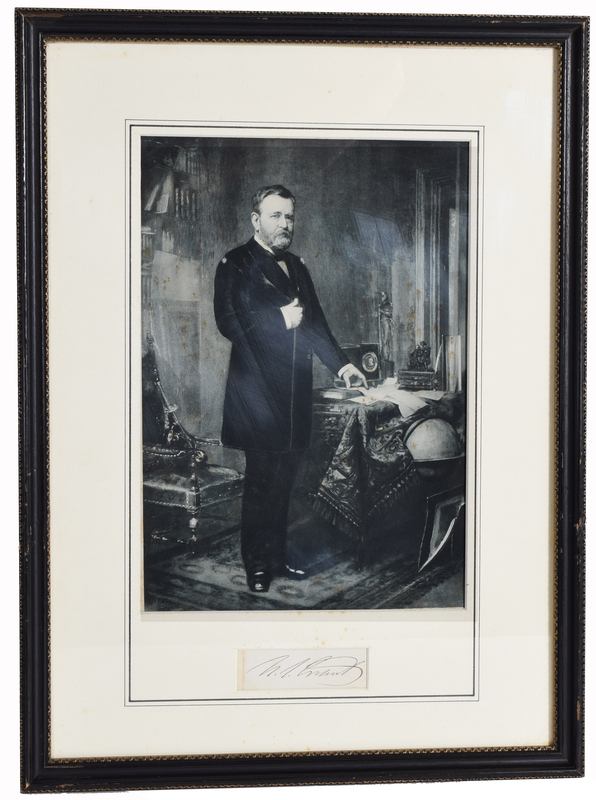 Ulysses S. Grant (born Hiram Ulysses Grant; April 27, 1822 – July 23, 1885) was an American politician, soldier, international statesman, and author, who served as the 18th president of the United States from 1869 to 1877. During the American Civil War Grant led the Union Army as its commanding general to victory over the Confederacy with the supervision of President Abraham Lincoln. During the Reconstruction Era, President Grant led the Republicans in their efforts to remove the vestiges of Confederate nationalism, racism, and slavery.